During our year-end show for The Cloudcast (.net), my co-host Aaron Delp suggested that we should enhance the podcast by adding more whiteboard videos. I completely agree with him. Far too often, our discussions get overly technical and it can be difficult to convey certain concepts without a visual element. 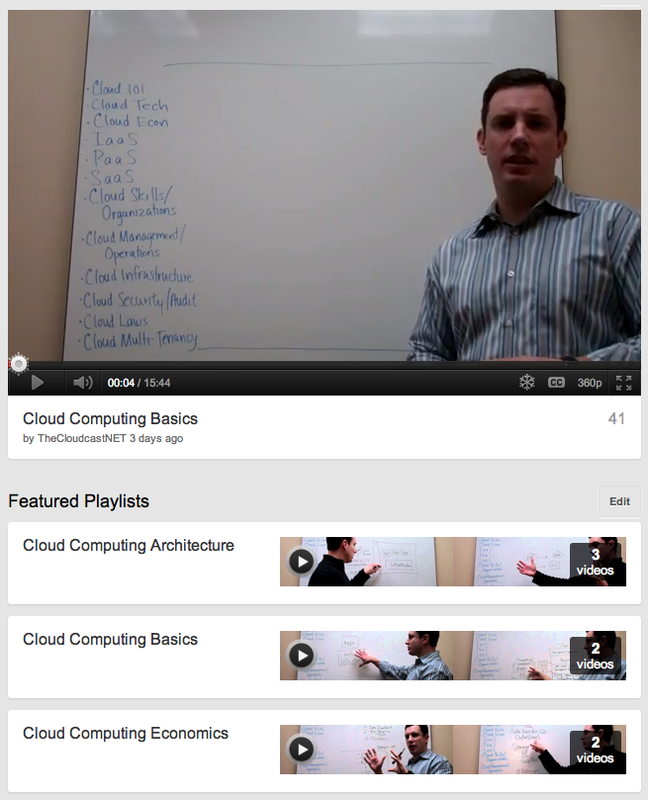 So over the holiday break, I did a brain dump of a bunch of Cloud Computing whiteboard discussions. They are posted on our The Cloudcast (.net) - YouTube Channel. One of the things we'll encourage our guests on The Cloudcast to do this year is make a short whiteboard video on a topic that we highlight on that week's show.